Michael Gove talks to Matthew Lowton from ZSL for LadBible. LadBible has published an interview with the Environment Secretary, Michael Gove ahead of the fourth international Illegal Wildlife Trade (IWT) conference. The UK Government will host 82 nations in London on October 11 and 12 and this will be the biggest conference on IWT so far, with more than a thousand delegates expected from all over the globe. 46 countries attended the first London conference in 2014. 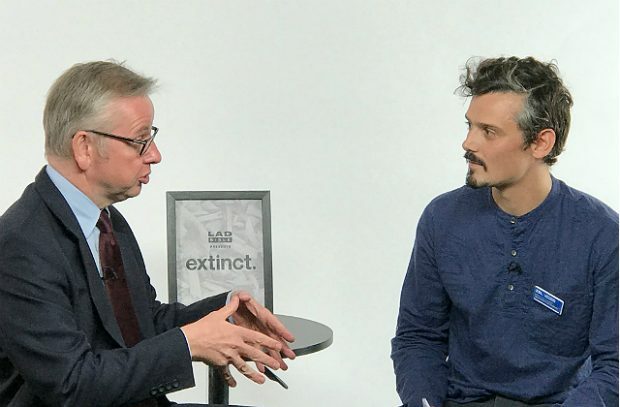 Mr Gove spoke to Matthew Lowton, the Zoological Society of London's illegal wildlife trade expert, and the video has been viewed by nearly 30,000 people on Twitter. We’re going to have an Illegal Wildlife Trade conference coming-up in a few weeks and we want to make sure that as many people as possible feel that they can be a part of it. So it is going to be the biggest Illegal Wildlife Trade conference ever and we want to try to involve people, not just from the countries that face an existential threat to some of the species that we value, but we want to involve people in this country as well and critically, the pressure from younger people is particularly intense. The Duke of Cambridge is currently in Namibia to ‘listen and learn’ about the work being done to protect endangered species. The Sun has published pictures and coverage of this important Royal visit to Africa highlighting the conservation work being carried out to protect rhinos. Mirror Online reported on the Duke’s visit and showed the British Airways plane with the conference hashtag: #EndWildlifeCrime. The illegal wildlife trade is an international problem that requires determined political leadership. It is also why Namibia’s voice on these difficult subjects at the upcoming conference on the Illegal Wildlife Trade in London in October is so important. National Geographic has produced an investigation into the ivory trade and the impact in Asia . The article includes a reference to the UK’s commitment to introducing one of the toughest ivory sales bans following an interview with the Environment Secretary. Zac Goldsmith MP, the Illegal Wildlife Trade conference champion and John Scanlon, African Parks’ special envoy, wrote a joint article for the Times on Monday. In it they said international action has been effective in preventing the illegal trade in wildlife and called on all sectors of the economy to work with governments and multilateral bodies to continue and make further progress. Last week, the Environment Secretary visited the Tusk Trust rhino artworks trail in London.